G.C. Hurtt, S. Frolking, M.G. 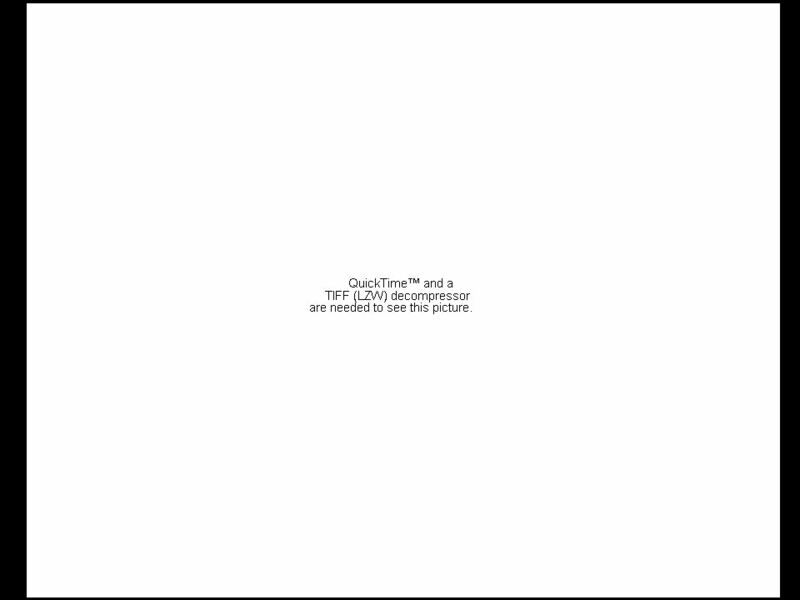 Fearon, B. Moore III E. Shevliakova, S. Malyshev, S.W. Pacala, R.A. Houghton The Underpinnings of Land-Use History Three. 1 G.C. Hurtt, S. Frolking, M.G. Fearon, B. Moore III E. Shevliakova, S. Malyshev, S.W. Pacala, R.A. Houghton The Underpinnings of Land-Use History Three Centuries of Global Gridded Land-use Transitions Wood Harvest Activity, and Resulting Secondary Lands Princeton University Woods Hole Research Ctr. 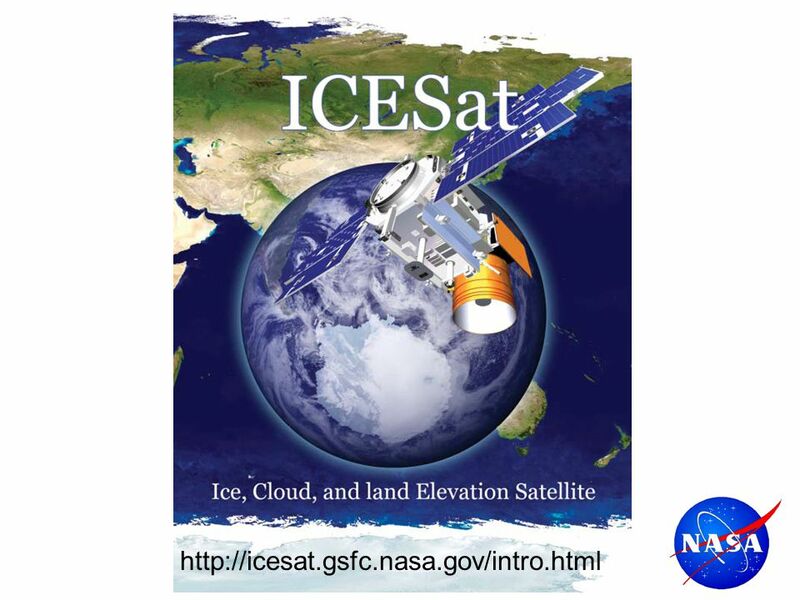 2 The Global Scale of Human Activities The concentrations of several greenhouse gases have substantially increased in the atmosphere. 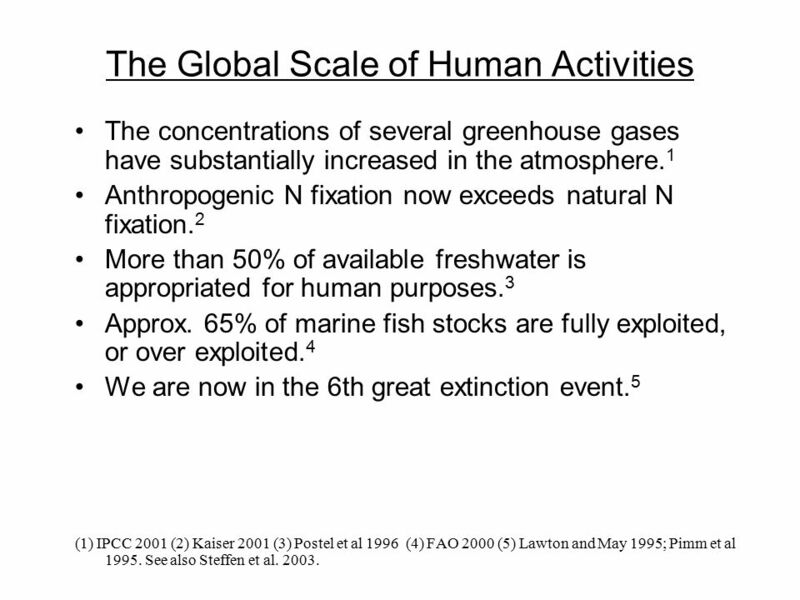 1 Anthropogenic N fixation now exceeds natural N fixation. 2 More than 50% of available freshwater is appropriated for human purposes. 3 Approx. 65% of marine fish stocks are fully exploited, or over exploited. 4 We are now in the 6th great extinction event. 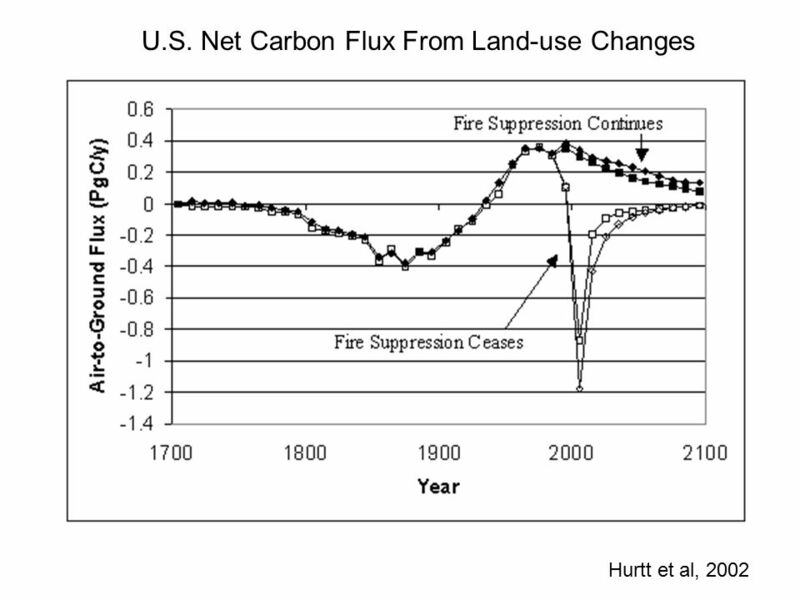 5 (1) IPCC 2001 (2) Kaiser 2001 (3) Postel et al 1996 (4) FAO 2000 (5) Lawton and May 1995; Pimm et al 1995. See also Steffen et al. 2003. 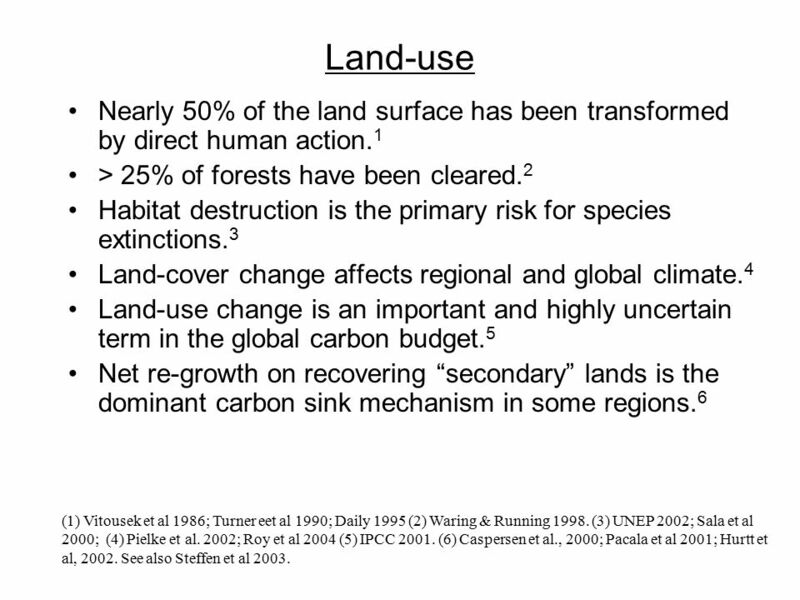 3 Land-use Nearly 50% of the land surface has been transformed by direct human action. 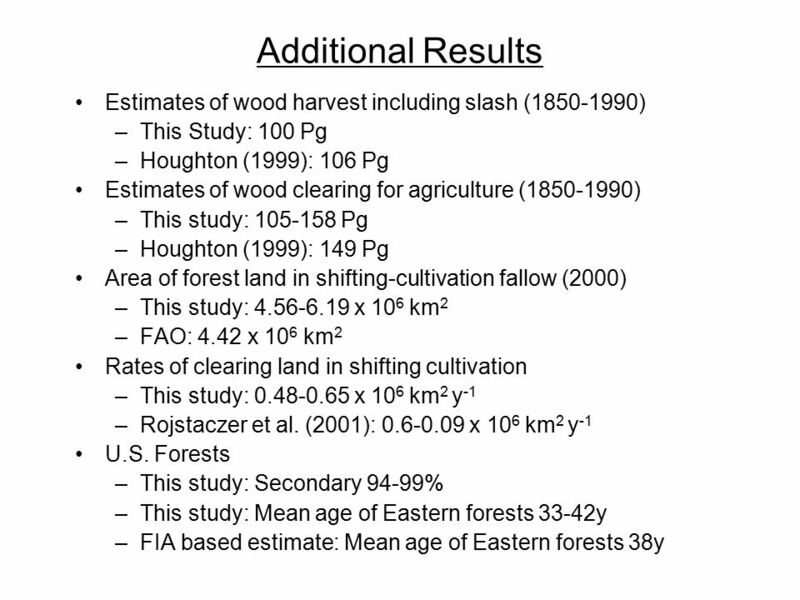 1 > 25% of forests have been cleared. 2 Habitat destruction is the primary risk for species extinctions. 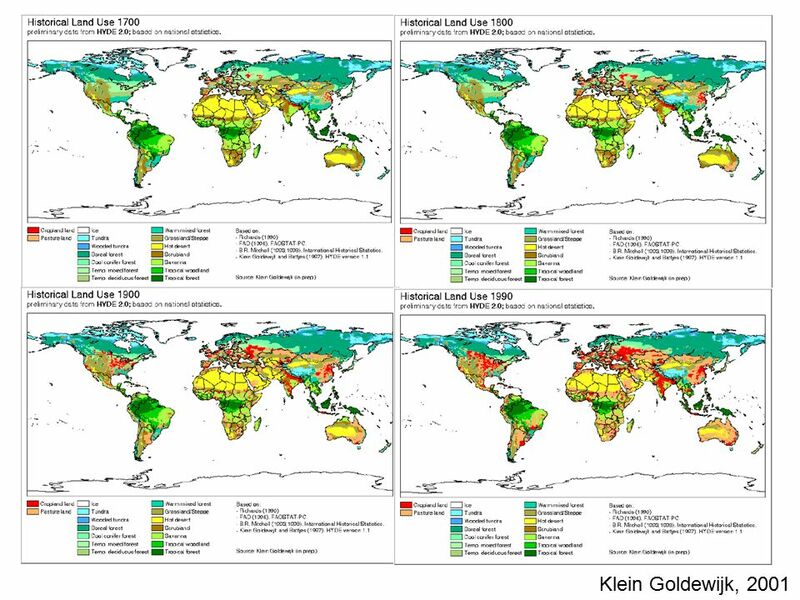 3 Land-cover change affects regional and global climate. 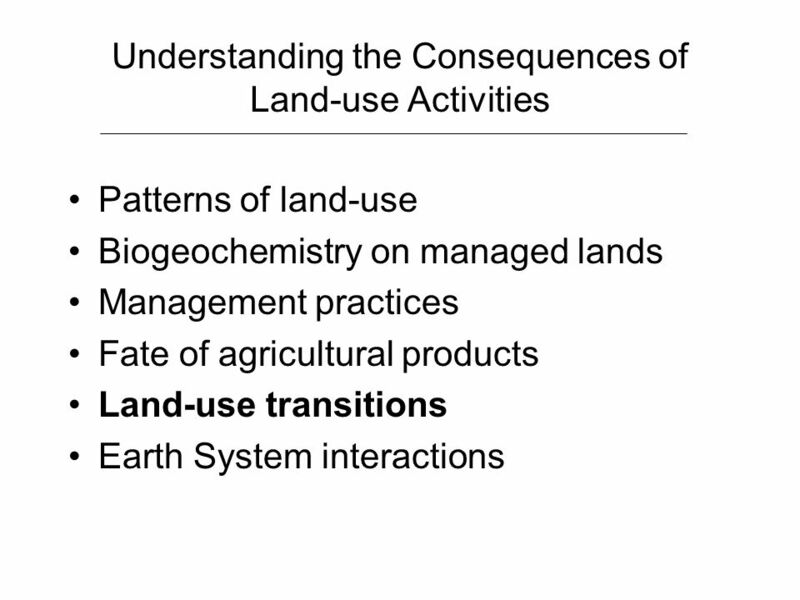 4 Land-use change is an important and highly uncertain term in the global carbon budget. 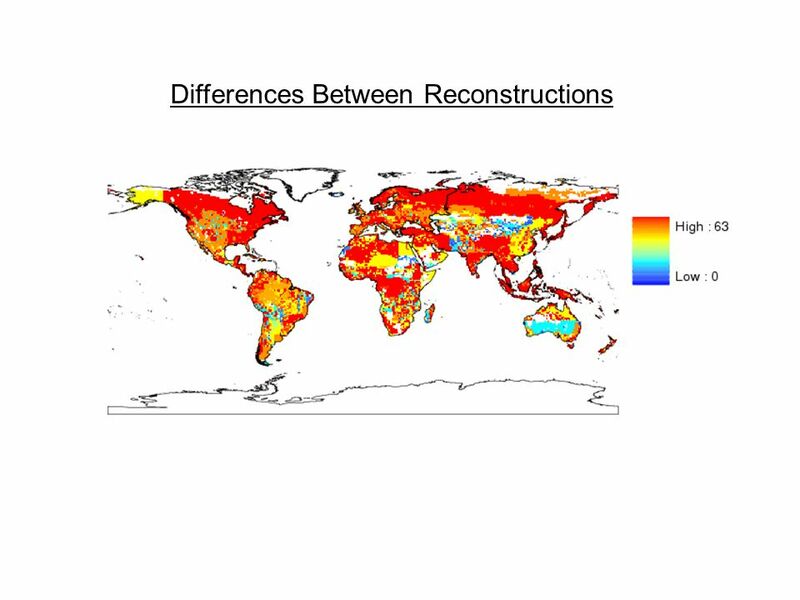 5 Net re-growth on recovering “secondary” lands is the dominant carbon sink mechanism in some regions. 6 (1) Vitousek et al 1986; Turner eet al 1990; Daily 1995 (2) Waring & Running 1998. 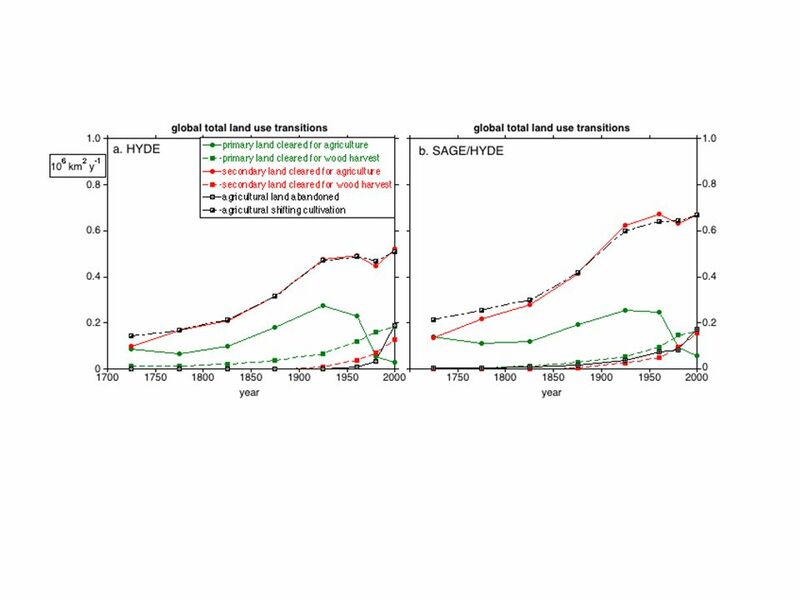 (3) UNEP 2002; Sala et al 2000; (4) Pielke et al. 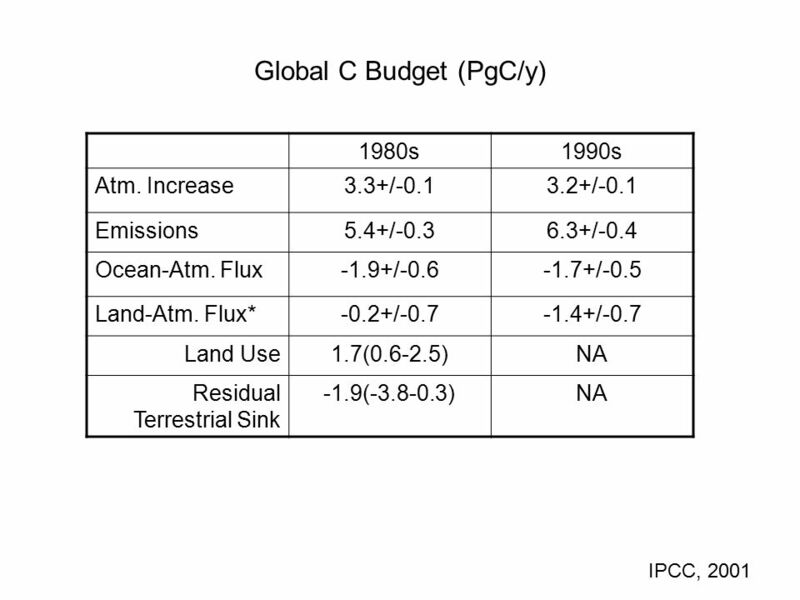 2002; Roy et al 2004 (5) IPCC 2001. (6) Caspersen et al., 2000; Pacala et al 2001; Hurtt et al, 2002. 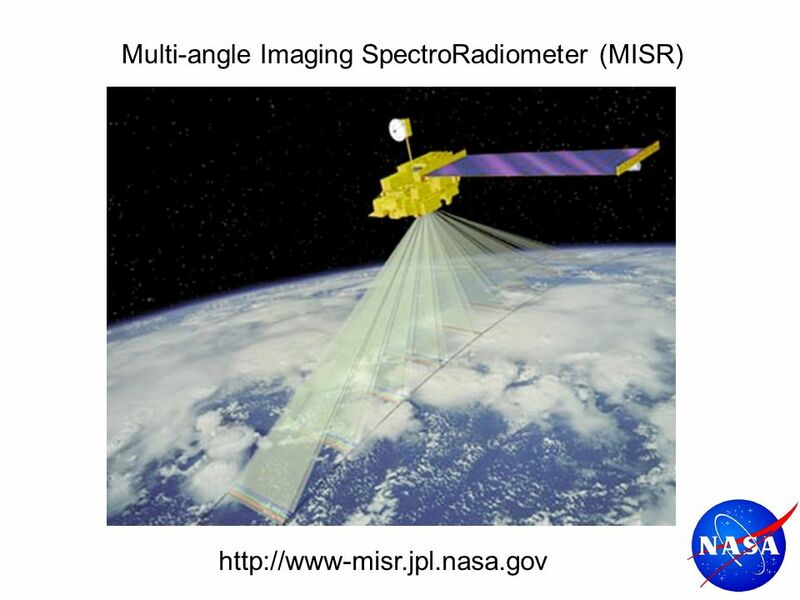 See also Steffen et al 2003. 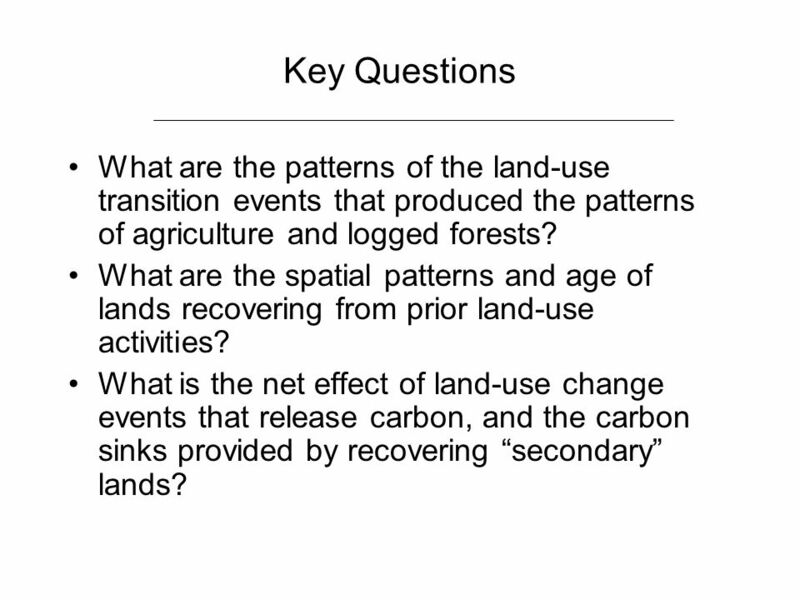 5 Key Questions What are the patterns of the land-use transition events that produced the patterns of agriculture and logged forests? 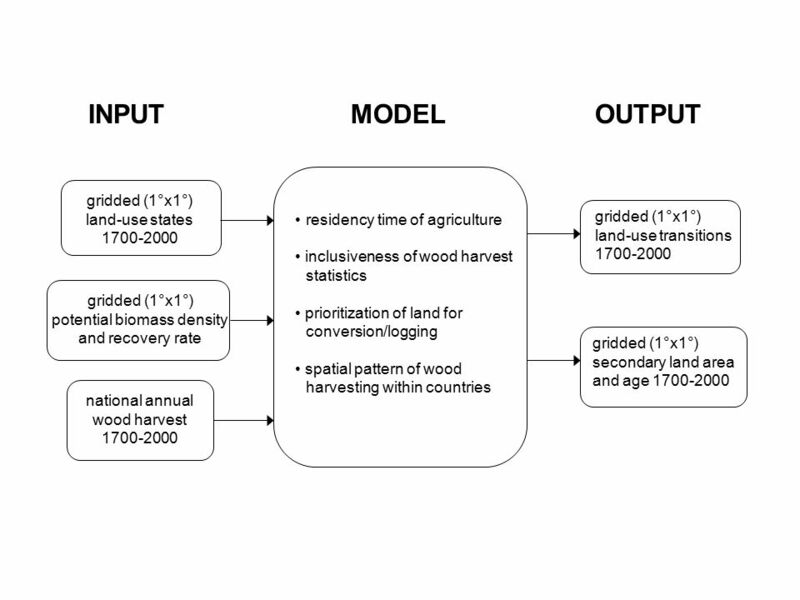 What are the spatial patterns and age of lands recovering from prior land-use activities? 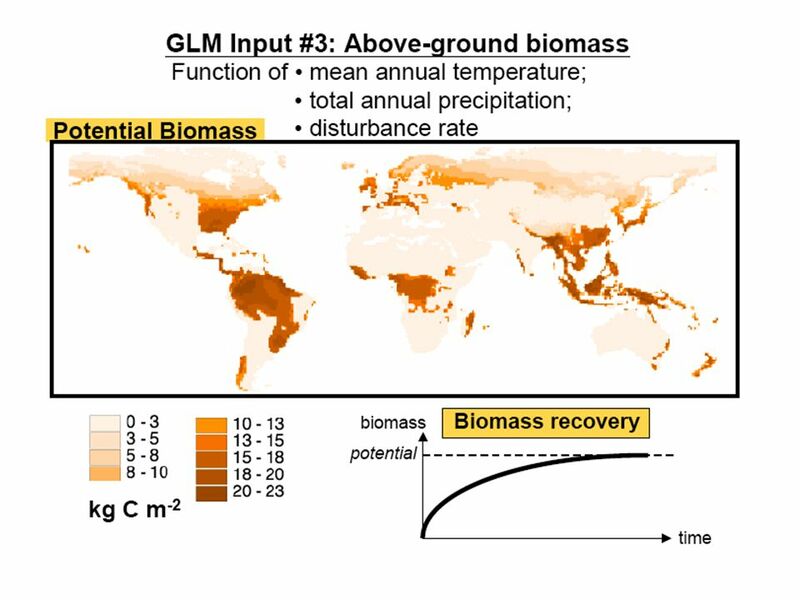 What is the net effect of land-use change events that release carbon, and the carbon sinks provided by recovering “secondary” lands? 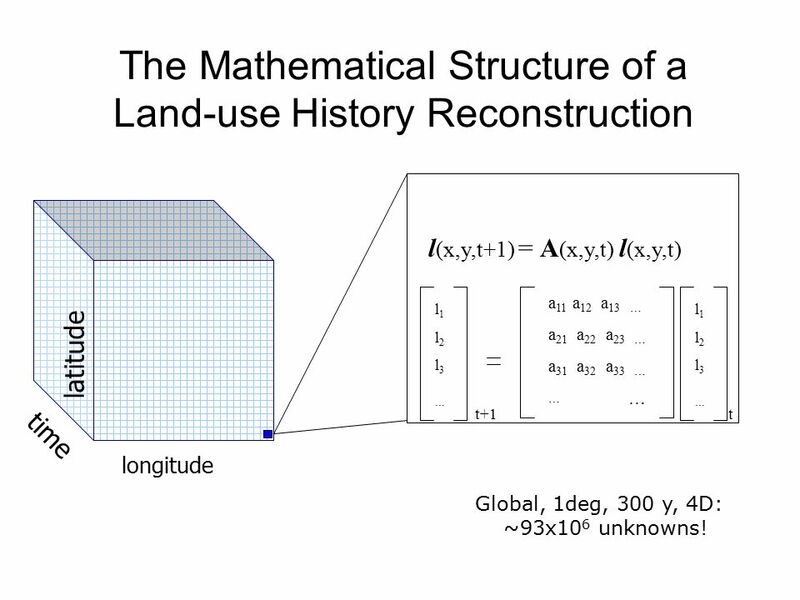 6 The Mathematical Structure of a Land-use History Reconstruction l1l2l3…l1l2l3… a 11 a 12 a 13 … a 21 a 22 a 23 … a 31 a 32 a 33 … … l (x,y,t+1) = A (x,y,t) l (x,y,t) t+1t longitude latitude time l1l2l3…l1l2l3… Global, 1deg, 300 y, 4D: ~93x10 6 unknowns! 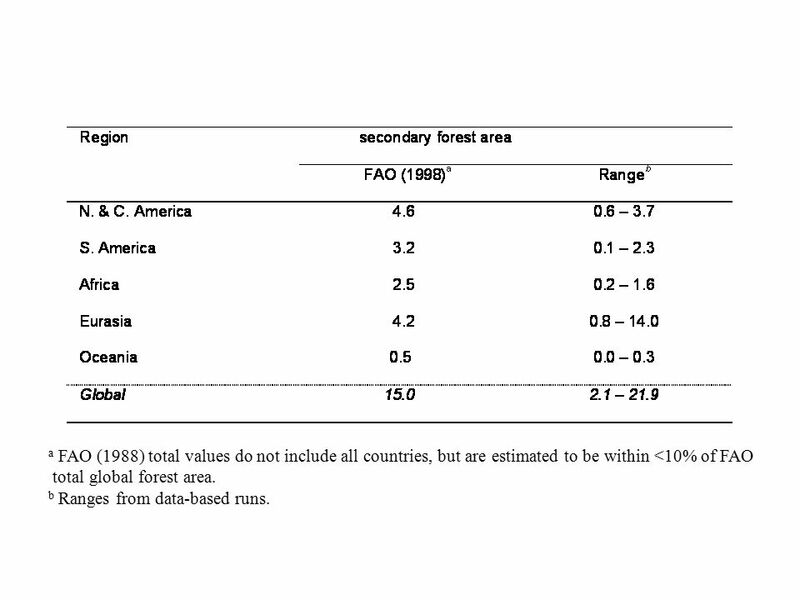 17 a FAO (1988) total values do not include all countries, but are estimated to be within <10% of FAO total global forest area. b Ranges from data-based runs. 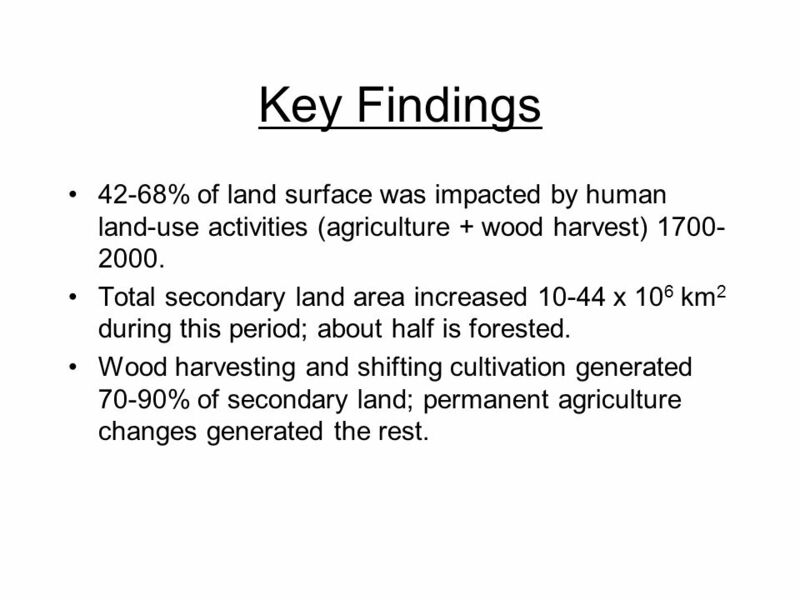 19 Key Findings 42-68% of land surface was impacted by human land-use activities (agriculture + wood harvest) 1700- 2000. Total secondary land area increased 10-44 x 10 6 km 2 during this period; about half is forested. 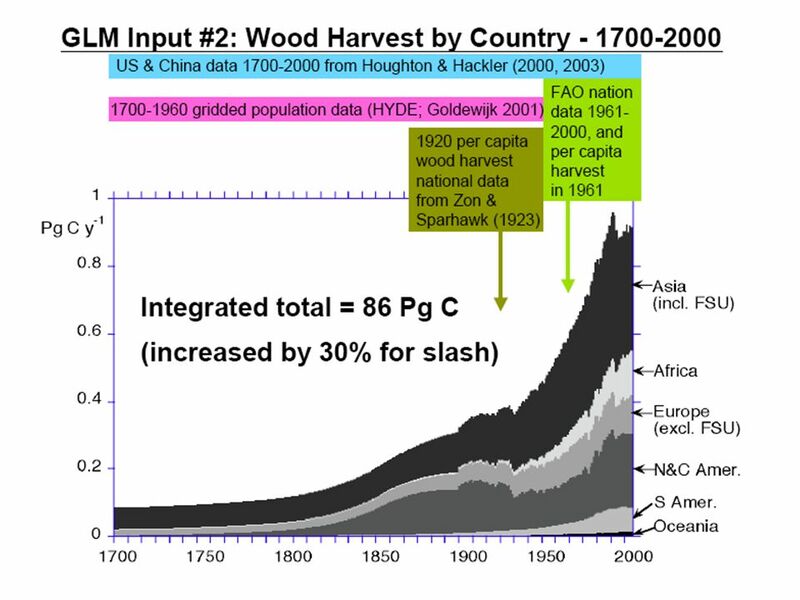 Wood harvesting and shifting cultivation generated 70-90% of secondary land; permanent agriculture changes generated the rest. 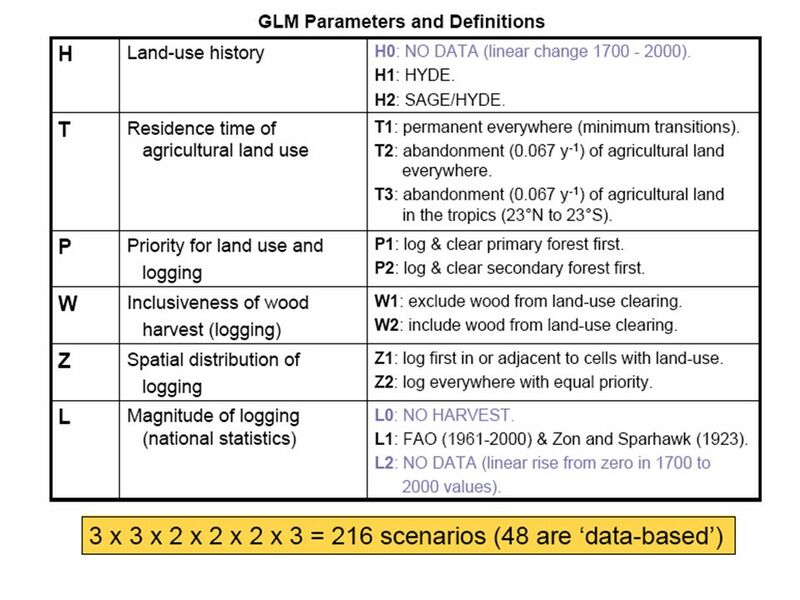 30 Summary/Conclusion This study provides the first global gridded estimates of land-use transitions (land conversions), wood harvesting, and resulting secondary lands annually, for the period 1700-2000 Major results are consistent with large sets of input data, and compare favorably to aggregated independent estimates. 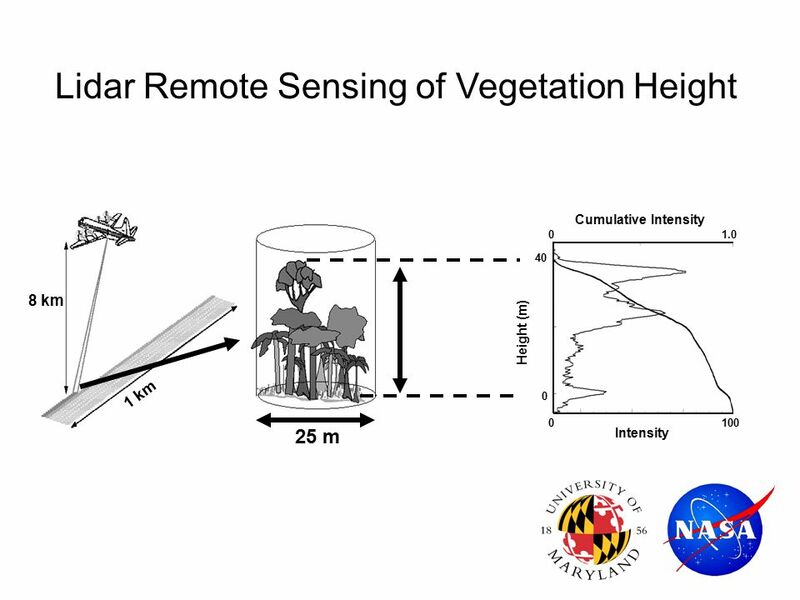 To best refine these estimates, new efforts are needed to characterize vegetation structure globally using remote sensing and field data. 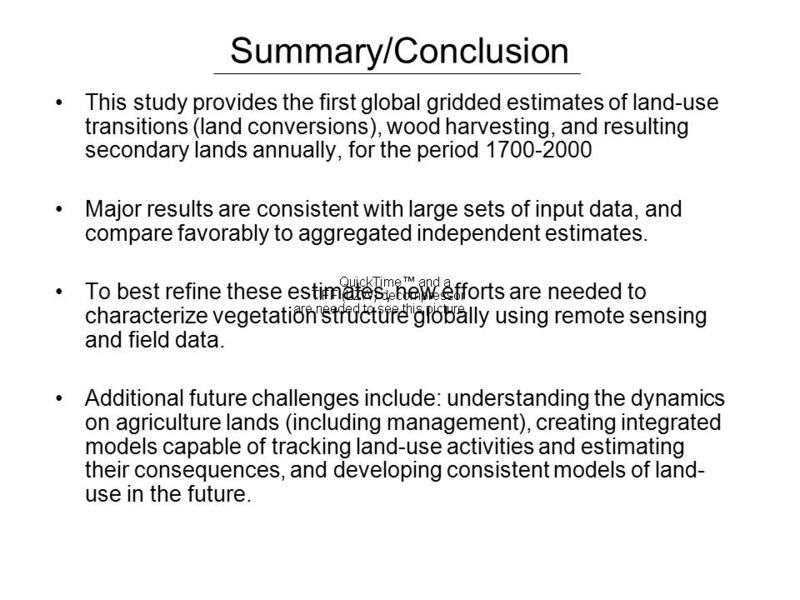 Additional future challenges include: understanding the dynamics on agriculture lands (including management), creating integrated models capable of tracking land-use activities and estimating their consequences, and developing consistent models of land- use in the future. 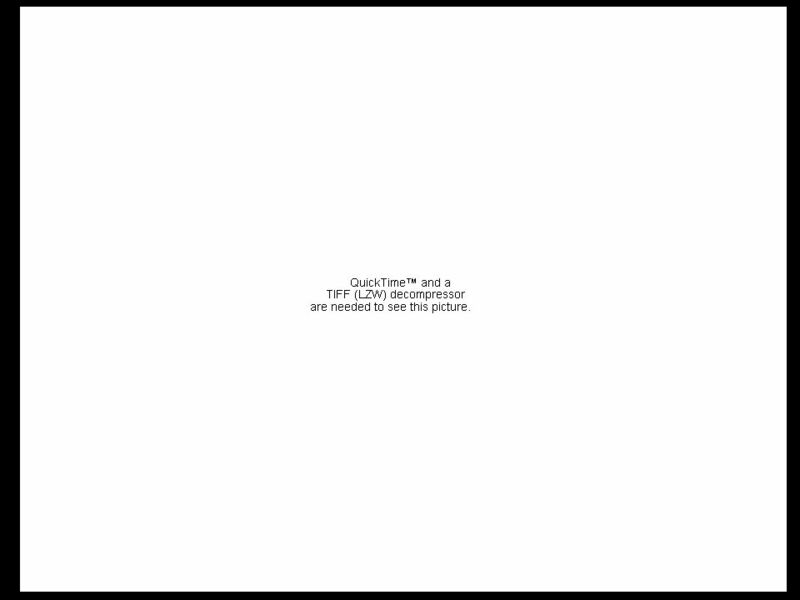 Download ppt "G.C. Hurtt, S. Frolking, M.G.  Fearon, B. Moore III E. Shevliakova, S. Malyshev, S.W. Pacala, R.A. Houghton The Underpinnings of Land-Use History Three." Session 6: Carbon, nitrogen, phosphorus and soil Roy Haines-Young, Centre for Environmental Management, School of Geography, University of Nottingham. GEO Work Plan Symposium 2011 Day 3 DS-11 Global Forest Observation. Regional trends in the land carbon cycle and the underlying mechanisms over the period, S. Sitch, P. Friedlingstein, G. Bonan, P. Canadell, P.
On-line resource materials for policy making Ex-Ante Carbon-balance Tool Food and Agriculture Organization of the United Nations, FAO Learning how using. Short Background on Climate Change and Greenhouse Gases Dr Ruth Nussbaum ProForest Presentation to the RSPO GHG WG2 meeting in Feb 2010. 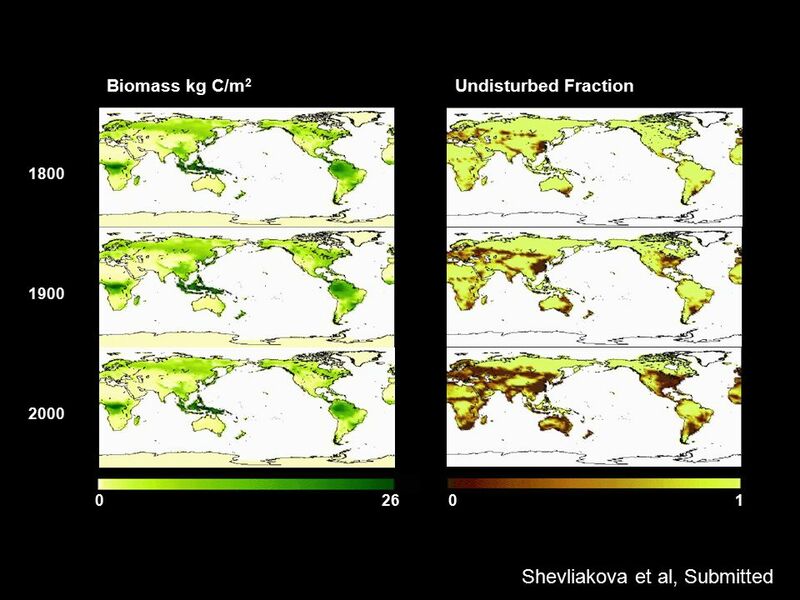 National Assessment of Ecological C Sequestration and Greenhouse Gas Fluxes – the USGS LandCarbon Project Zhiliang Zhu, Project Chief, What. 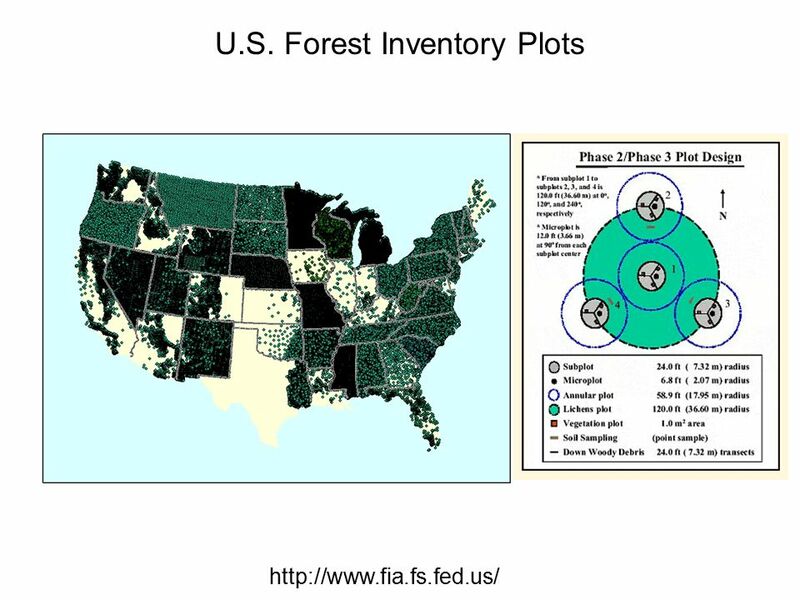 Land-use effects on spatial and temporal patterns of carbon storage and flux in PNW forests David Wallin Department of Environmental Sciences Huxley College. Nitrogen Controls on Carbon Sequestration J. Melillo 1, D. Kicklighter 1, H. Tian 1, A. McGuire 2, J. Clein 2, B. Moore III 3 1 Marine. 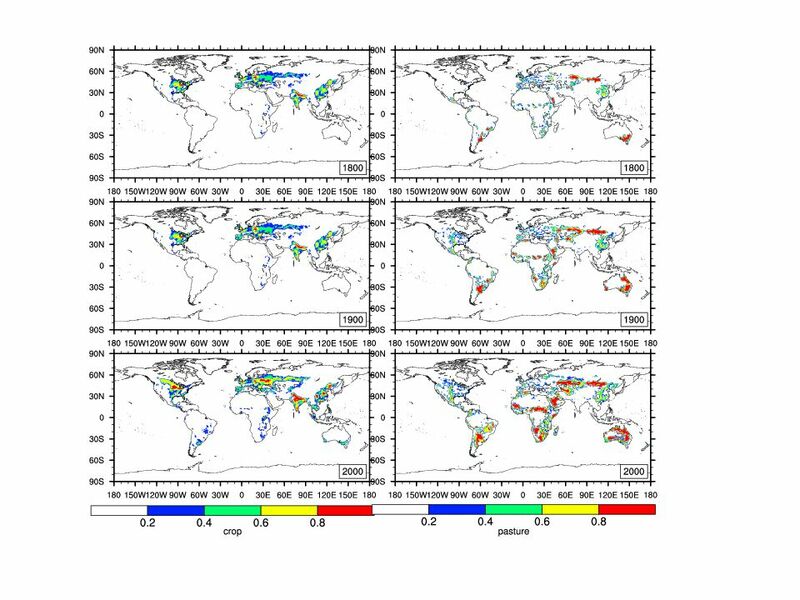 The Impact of Irrigation on Land-Atmosphere Interactions and Indian Monsoon Precipitation. 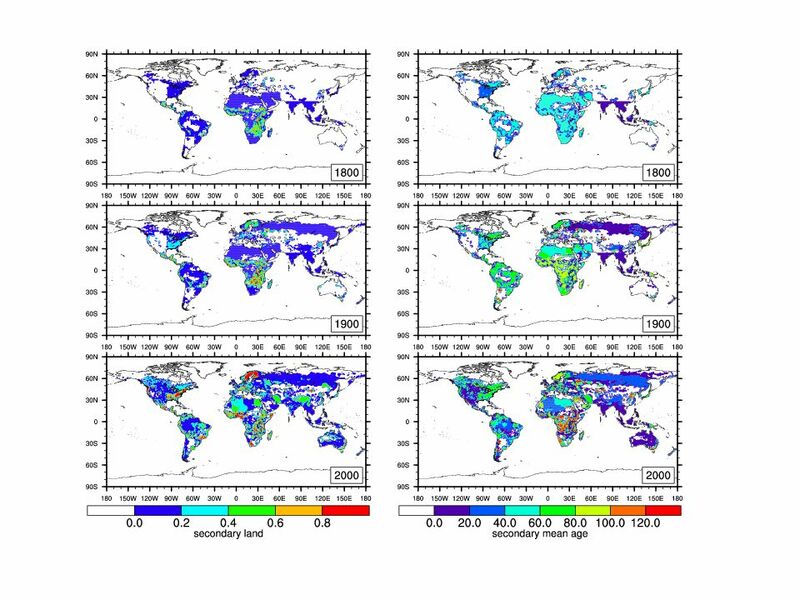 1 Hadley Centre for Climate Prediction and Research Biophysical forcing of climate by anthropogenic vegetation change Richard A. Betts & Pete Falloon Hadley. World Forests Forests cover 30% of the world’s land surface. Endangered Animals. Animal species can be classified as the following: An animal that is extinct means that it is no longer living in the world today. 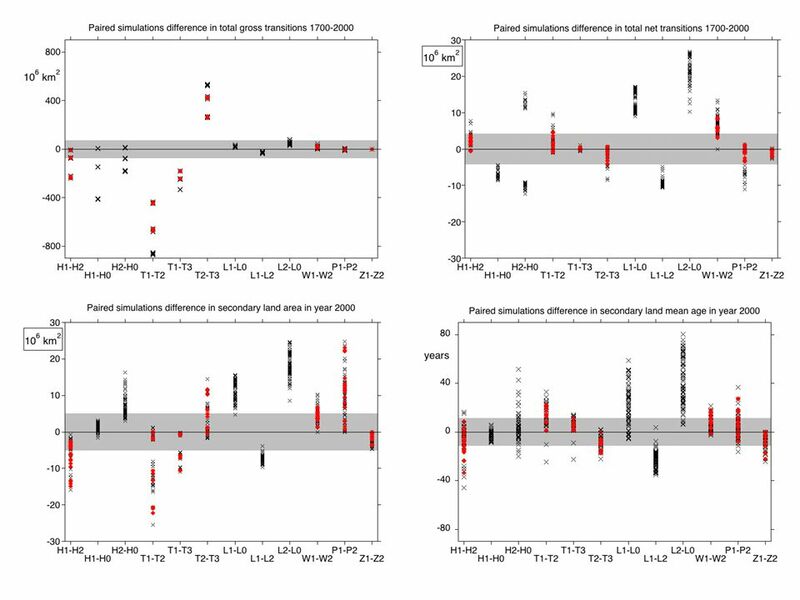 Spatial and Temporal Patterns of Carbon Storage and Flux in PNW Forests: David Wallin 1 Peter Homann 1 Mark Harmon 2 Warren Cohen 3 Robert Kennedy. Primary Production in Terrestrial Systems Fundamentals of Ecosystem Ecology Class Cary Institute January 2013 Gary Lovett.